Awarded Australian Sports Medal (ASM) 2000 for services to lawn bowls. 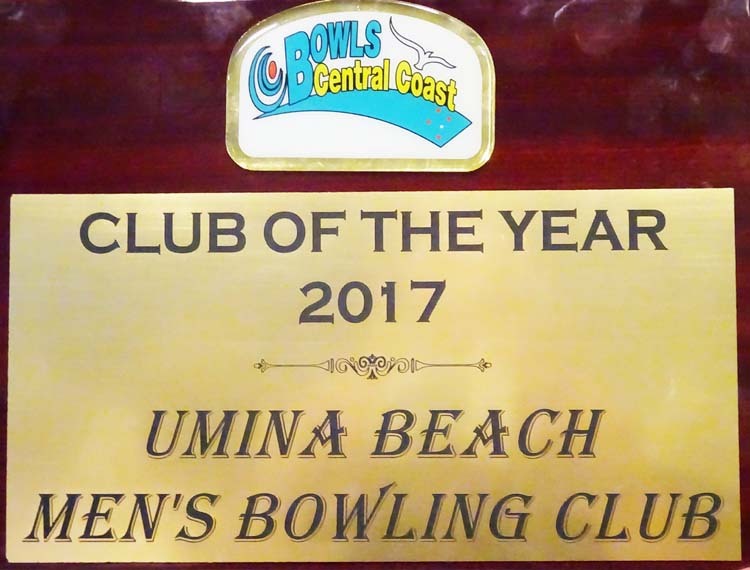 The Wal Rainbow Perpetual Shield which features all the names of those bowlers that have won the BCC-Zone 15 Bowler of the Year since its inception in 1991. Alex Taylor, George Jennings, Jim McCabe, Wally Rainbow, Ralph McGibbon, Roy Hill, George Matthews, Ray Smorti, Ossie Pickering, Hec Plasto, John Langford, Dal Morris, George Retford and Jack Hinwood. With manager, Tom West.